Fnatic and OnePlus have struck up a partnership over LoL team's jerseys. Photo credit: Fnattic. 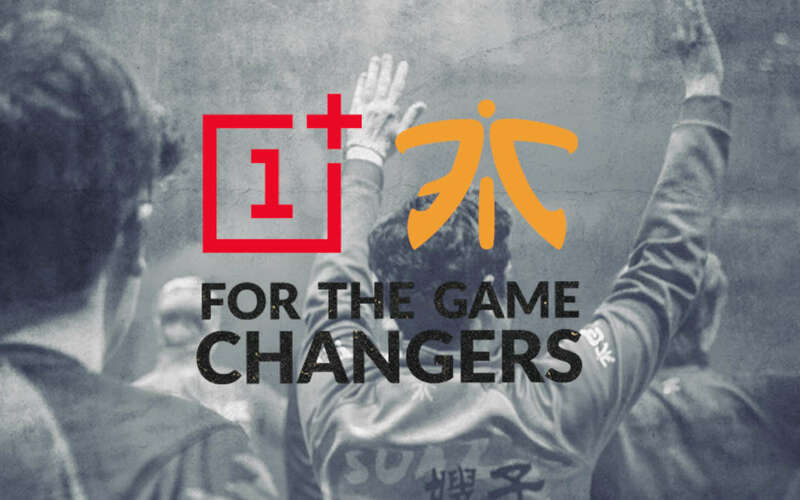 Esports powerhouse Fnatic has signed up a new partnership with smartphoner make OnePlus. As a result, the team will swap out “Fnatic” from their jerseys with the company’s own “OnePlus” name. Fnatic revealed the new partnership during the Legends in Action Live Event, which featured the introduction of digital fan memorabilia developed in collaboration with World Asset Exchange (WAV), a blockchain company. The event itself, held in Berlin, was intended for Fnatic fans who wanted to get to know the team whose members also sat through several interviews. The Legends’ pow-wow introduced the official League of Legends jersey that Fnatic’s roster will wear during the 2019 LEC season. Entering the season with a new coach, Fnatic are fully prepared to take on the challenge of defeating a select club of world class LoL teams. We share the same values when it comes to performance and becoming the best we can possibly be, so in OnePlus we have the perfect partner to take Fnatic into a new era. Gaming has always been central to OnePlus and working with Fnatic was, from the beginning, a natural partnership born from friendship: two like-minded organizations looking to push the boundaries. Mr. Mathews spoke highly of Mr. Pei whom he had known for a long while prior to the latest tie-up between the teams. In the official news announcement published on their website, Fnatic also praised OnePlus’s attention to detail and ability to deliver premium build quality devices. The company’s latest product, the OnePlus 6T was specifically designed with mobile gaming optimization in mind. Back in 2017, Fnatic introduced a 3-man roster for the popular mobile title Vainglory, but the team was disbanded in February, 2018. The current focus remains solely on LEC, with Fnatic facing off nine other contestants who are determined to come out victorious of the European championship. The newly re-branded format will feature a number of teams that have never had a League of Legends team before. In an interview on Sunday, SK Gaming Fabian “Sheepy” Mallant commented on the newly set-up roster’s chances of success, remarking that the team was built to surprise everyone involved in the competition. It’s not often that a team agrees to strip their own name off their jerseys, but Fnatic feels confident in their new-found partnership with OnePlus. Esports powerhouse Fnatic and smartphone maker OnePlus have agreed to a new jersey partnership, with the manufacturer's name replacing that of Fnatic.